At the time of purchase by the Ross family, the Dell-Howe Farm already sported the green chimneys and cupolas. The owner prior to Tolbert was Colonel Henry Breckenridge who hired an itinerant minister to perform odd jobs around the farm, one of which was to paint the chimneys. Apparently, the minister found some green paint and not only painted all the chimneys, but the barn cupolas as well. 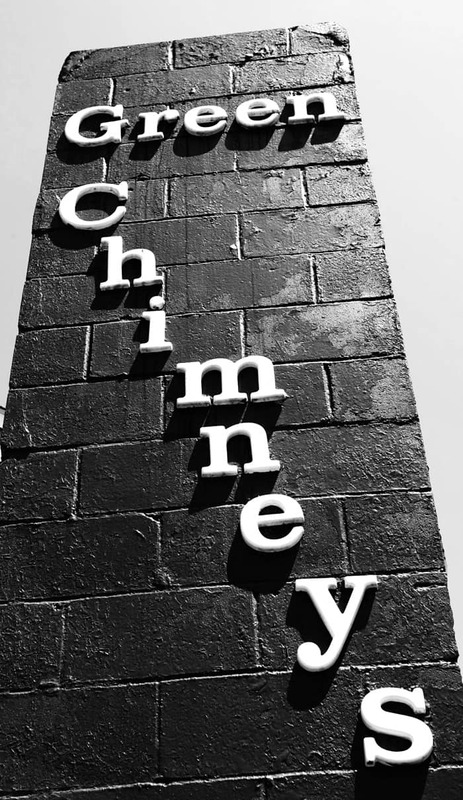 This became the “talk of the town,” because painting one’s chimneys anything but red, white or black was unheard of in those days! Almost immediately, locals began to give directions to the Dell-Howe Farm by saying, “…and you go down the road…it’s the one with the green chimneys!” Breckenridge, being a rather unique man, decided that the green chimneys made his farm easy to find, and believed his business improved because of this novelty. He decided to keep the color, and let people talk about his farm as much as they pleased. The farm quickly became known as Green Chimneys, which was certainly more “fun” than Dell-Howe Farm. The Rosses never broke with this tradition and to this day, all chimneys and cupolas on the nearly 200-acre farm continue to be painted that same shade of green! Written by Dr. Samuel B. "Rollo" Ross, Jr., this labor of love chronicles Ross's personal experiences in creating one of the finest therapeutic facilities in the world. 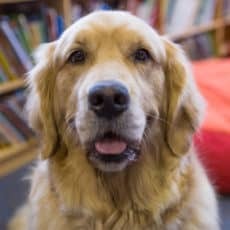 Bodhi is the Golden Retriever companion of Green Chimneys’ Admissions Supervisor and one of the most familiar faces on campus. Bodhi also holds the distinction of being a certified therapy dog and recently participated in Green Chimneys’ first funded research project studying the effect of involving a dog in social skills development training for children on the autism spectrum. Her full name, Bodhi Ani, means “Awakens/Enlightens Grace” and describes her personality and the role she embraces with the students on campus; Bodhi is very calm and grounded in her ability to awaken their potential while helping them to relax and feel at peace.